Canalcubano: In a charm wood house from the XIX century, this restaurant offers a delicious Cuban food. Its main course is named "Delicias de Don Tomás" and it has a little bit of everything. "El Trapiche" is its traditional coctel. 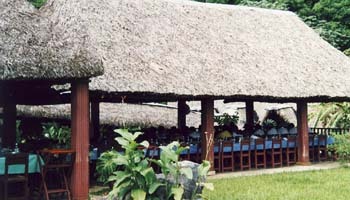 For many people it is the best Viñales’ restaurant. 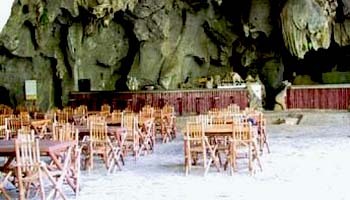 Frommers: This is probably the most popular restaurant in Viñales, and it's touted in most guidebooks as well as by tour and hotel operators throughout the region. The restaurant's signature dish Las Delicias de Don Tomás is a paella-like dish of Spanish rice cooked and served in an earthenware bowl and featuring bits of chicken, pork, fish, ham, and even lobster. It's usually slightly overcooked and under-seasoned. You'd definitely be better off opting for a simpler pork steak in criolla sauce, or the hefty portion of fried chicken. The atmosphere in this restored 1879 colonial mansion is wonderful, and the building itself has been declared a national monument. You'll want to choose a table on either the small front patio or the more spacious back patio. The house drink is called a "Trapiche" and it's made of rum, pineapple juice, and honey, and served with a sliver of sugar cane as the swizzle stick. Located near the cave, very touristy place. The native cousine is its specialty, the chicken is the best. Accesive prices. My review: Finca Agroecologica el Paraiso is an organic farm right outside the town of Viñales. For 10 CUC per person you are served an abundance of home grown vegetables (both fresh, cooked and pickled), fish, chicken and lamb, rice with beans, dessert, coffee and a lovely "Anti Stress Cocktail" with rum on the side. The view from the terrace is jaw dropping, and to sit there in the sunset with your best friend is a memory for life. My review: Durante mi estancia en Viñales, me recomendaron una Finca Agroecológica a pocos km del pueblo. Se llama "El Paraíso" y es una finca restaurante donde cultivan productos ecológicos. El restaurante está ubicado encima de una loma con una vista espectacular del valle de Viñales, y en donde por la tarde se ve una inolvidable puesta de sol. Ofrecen un menú buffet completo muy amplio y delicioso con productos típicos de la zona, así como todo tipo de carne como puerco asado. En la comida te incluyen el agua, el postre, el café y el té. Mi recomendación es que probéis el coctel único del lugar "El Antiestres" elaborado con especias de la propia finca. Delicioso! During my stay in Viñales, they recommended a farm Agroecológica a few km from the village. It is called "Paradise" is a farm and restaurant where they grow organic products. The restaurant is located on top of a hill with a spectacular view of the valley of Viñales, and where the evening is an unforgettable sunset. They offer a wide and delicious with typical local produce full buffet menu as well as all types of meat such as roast pork. In the food they will include water, dessert, coffee and tea. My recommendation is to you to try the only place Cocktail "anti-stress" made with spices estate. Delicious! 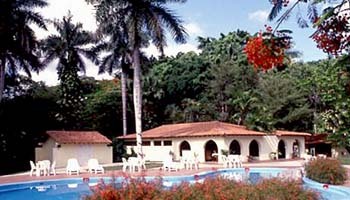 Canalcubano: Friendly olde worlde inn placed in the deepest part of the Valle de Viñales, so that the impressive natural environment is its main attractivness. The food and the service have not always the same level, it depends on the arrival of the buses with turists or not. My review: We were approached in the street by the woman who runs this casa/paladare just off the main street and decided to go there because she was such a exuberant, passionate person that we could not resist. She told us we would each put on a kilo if we ate there. She took us through the house to the terrace restaurant which was wonderfully decorated and it was clear a lot of care had gone into it. We had the biggest and best meal in all our three week stay in Cuba - lots of fish, vegetables, salad, tasty and spicy sauces and great cocktails. All for 6 cucs each we we thought was excellent value. Don't miss it! 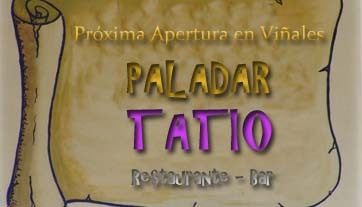 Canalcubano: This restaurant was opened to honoured the old tobacco planter Celestibo Álvarez, whose house is very close. He, always talkative and friendly, will tell you about the tobacco and its process. The food, just correct.